Her spirit became inspiration. Her name became legend. Mongyong Lee: "Like the sun and the moon, my love will never change." 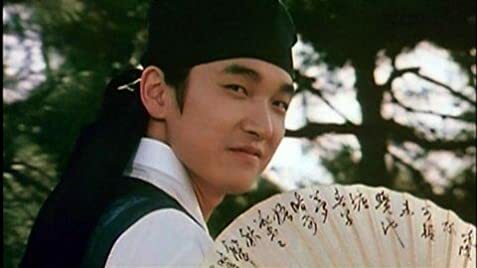 I am a Korean linguist and use Korean movies to keep up on the language and have really fallen in love with them over the last few years. My current favorite is JSA, followed closely by Shiri. I just happened to catch Chunhyang on the Sundance channel and it was just not your typical "everybody dies" Korean dramatic movie. Although, what little I know of Korean culture seems to portray life as always having misfortunes,because thats just how life is, this movie was a pleasant surprise. It was kind of like Romeo and Juliet who forgot they were supposed to die. The "panjori" was excellent as well.